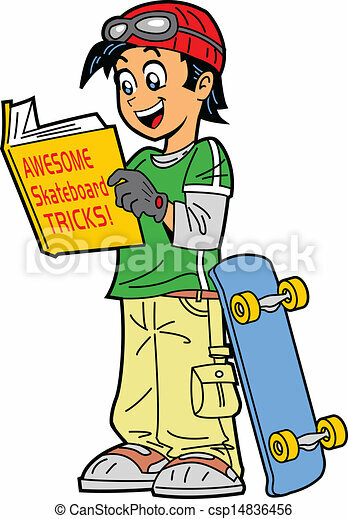 Happy skateboarder reading a book of skateboard tricks. 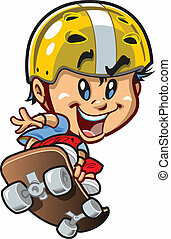 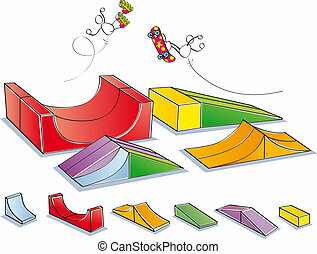 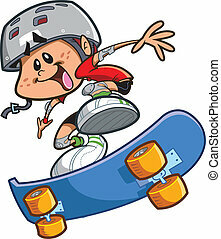 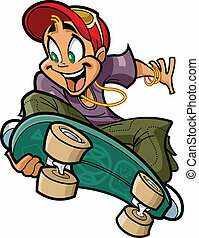 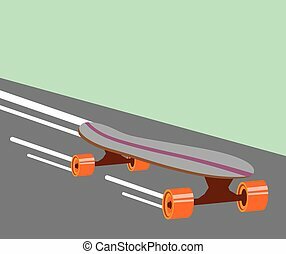 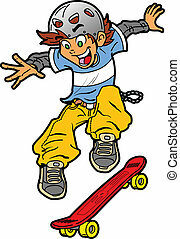 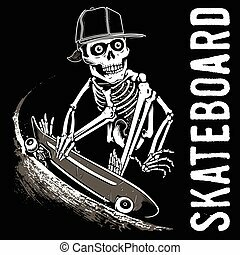 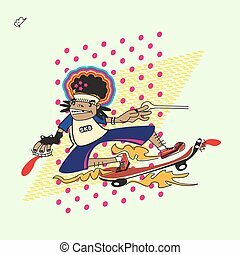 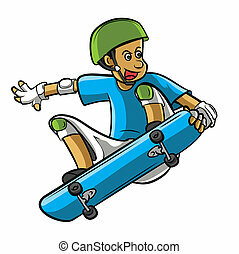 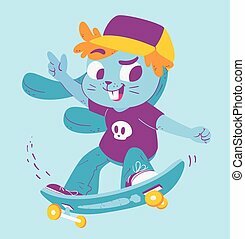 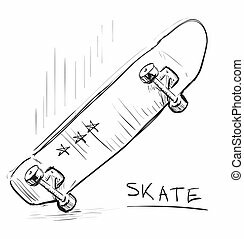 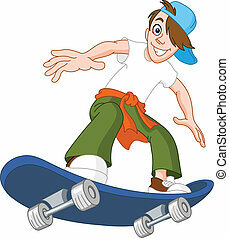 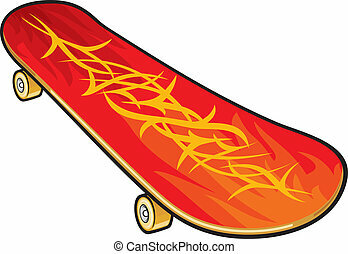 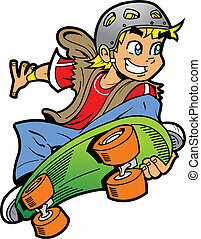 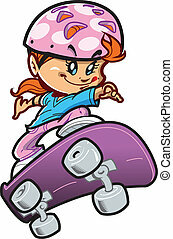 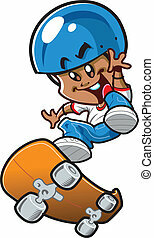 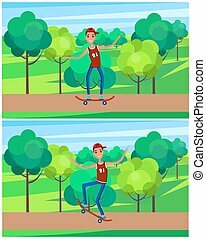 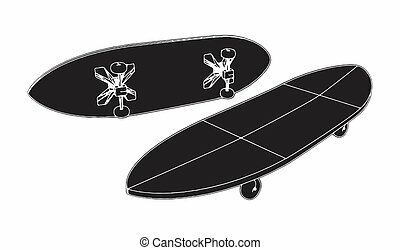 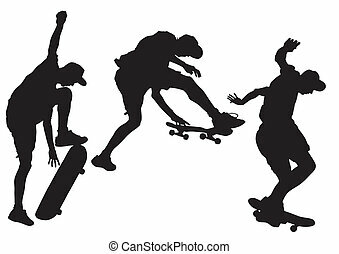 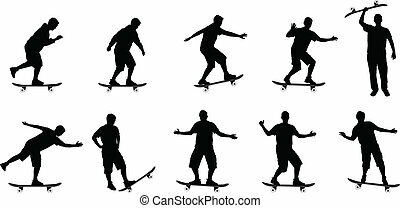 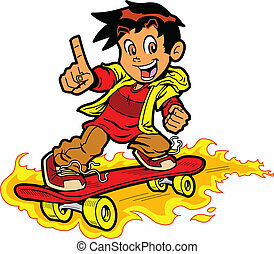 Vector illustration of a cartoon skater bunny wearing a hat, doing tricks on a skateboard, poiting up and smiling. 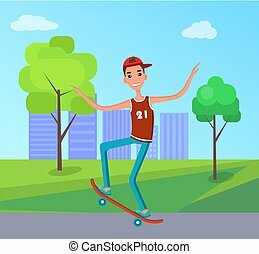 Skateboarder in sleeveless shirt making tricks with skateboard, 21 June Go skateboarding day male cartoon character on background of downtown at park.